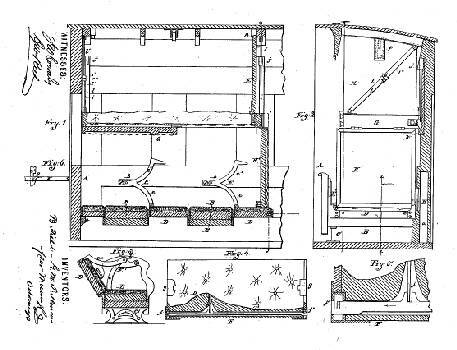 George Mortimer Pullman (1831-1897) was not the first to conceive of a sleeping car. o In 1836, the Cumberland Valley Railroad put into service a bunk car it christened the Chambersburg. This car, with its permanent bunks at three levels, was imitated by a number of railroads. 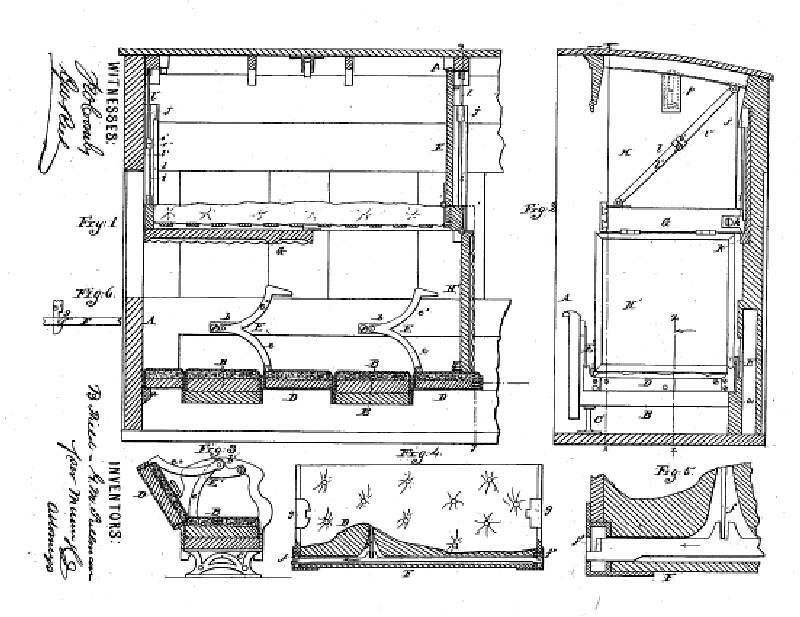 o In 1838, the Philadelphia, Wilmington & Baltimore Railroad put into service the first cars with convertible seats for both day and nighttime use. o In 1843, the Erie Railroad, although then only three hours end-to-end, put into service the “Diamond Cars” -- so known because the truss-work in their sides dictated that the windows be of that shape. These cars were built by the John Stephenson Car Company. 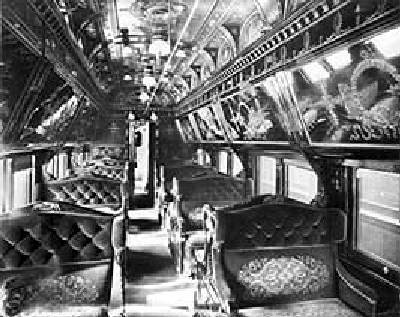 o In 1850, the Baltimore & Ohio had sleeping cars with berths in three tiers. But none of these cars were known for comfort. What Pullman did was create comfortable cars, package them with necessary services, and promote them to a public in search of luxury. Pullman had early on joined his brother Albert in his cabinet-making business in Albion, NY. He learned the trade, but there wasn’t enough business to support both brothers, and George had to find other employment. About that time, the Erie Canal was being widened through the area and George contracted to move a number of buildings back from edge of the old canal to the edge of the new one. In 1855 he moved to Chicago, where he made a name for himself raising houses out of the swamp on which the city had been built, and into which it was sinking. Besides making a reputation for himself, he accumulated sizeable wealth. Pullman’s first real sleeping car — a remodeled Chicago & Alton coach. There he set to gold milling at the town of Russell Gulch above Central City, as well as operating a freight business and keeping a store in Central City, under the name of Lyon, Pullman & Company. With business associates both from Colorado and from Chicago, he put together a 1,600 acre ranch which became an important stopover place between Denver and Central City. It became known as “Pullman's Switch,” because it served as a place where one could switch teams from one weary set of animals to a fresh set before making the long climb into the mountains. Pullman prospered during his years in Colorado, not because of his gold operations, which netted him only break-even wages, but because of his business ventures. In 1863, Pullman returned to Illinois with more than $20,000 (equivalent to more than a quarter of a million dollars today) ready to commence building his famed railroad cars. While Pullman was in Colorado, Field had built an additional sleeping car for the Alton and now had a contract for four more. Pullman “Palace” cars featured plush upholstery, ample lighting, and ornately decorated interiors.